13th amendment of Sri Lankan Constitution is the framework which can help heal the divide in Sri Lanka! 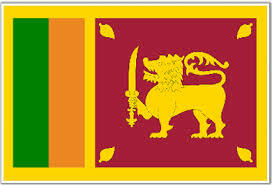 Sri Lanka is a friendly country to India. India has many commonalities with Sri Lanka. Both major ethnic groups-Singhalese and Tamil- have their origins in India. Sri Lanka has a Free Trade Agreement (FTA) with India. Until 2009, it had a ferocious and violent civil war, killing thousands from both sides. After a series of battles, Sri Lankan Army was able to defeat LTTE in 2009. There are allegations that upto 40,000 civilians were killed in the final weeks of this war. Sri Lankan Army and LTTE both have been blamed for killing innocent civilians. UNO has an ongoing enquiry on Human Rights violation in Sri Lanka. LTTE was a ruthless secessionist group, which invented “Suicide bombings”. Former Indian Prime Minister, Rajiv Gandhi, was assassinated by its cadre in Tamil Nadu in 1991. LTTE had had many chances to achieve reasonable autonomy for Tamils in Northern Sri Lanka, but it mismanaged the campaign, focusing on a maximalist position of Tamil Eelam. The situation is totally different today. While Sri Lankan Army has defeated LTTE and removed LTTE from the scene, reasonable aspirations of Tamil Sri Lankans can not, and should not, be ignored. Their desire and aspiration to have a right for equality, dignity, justice and self respect can not be ignored or suppressed. It is in the interest of Sri Lanka too that it deals with these aspirations from one segment of its own people pragmatically and fully. 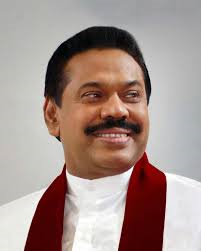 It is indeed in the long term interest of Sri Lanka to do things which will reassure its Tamil people. It is in this context that 13th Amendment to Sri Lankan Constitution is worth revisiting. 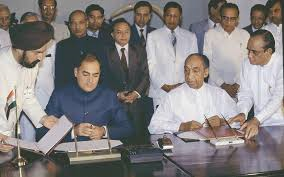 This amendment was enacted in 1987, following India-Sri Lanka Accord (Rajiv Gandhi- JR Jayewardene Accord). It created 9 Provincial Councils. Even though the amendment did not provide sufficient powers to elected legislators, ministers and Chief Ministers, it did give some powers to them. It was by no means a great amendment at all because it gave far too much powers to State Governors, appointed by the President. There is some demand from some ruling parties, including President Mahinda Rajapaksa’s brother, Gotabaya Rajapaksa (Defence Secretary) to repeal 13th Amendment . I believe this is a wrong step. If anything, the provisions of this Amendment for devolution of powers to Provincial Councils need to be strengthened, not diluted or repealed, which is what Sri Lanka seems to be heading to. Because of what the Chief Minister of Northern & Eastern Provincial Council, Annamalai Varadraja Perumal did in March 1990 (he declared Independence of Tamil Eelam), Sri Lankan Govt will be concerned about any extra power to Provincial Councils. I do not believe this concern has any basis, after LTTE has been defeated and removed from the equation. Times and equations have completely changed. There is no chance of anything like what Mr Perumal did in 1990 happening in Sri Lanka anymore. Sri Lankan Tamils constitute close to 11.2 % of Sri Lankan population. Indian Tamils, who were taken to Sri Lanka by The British Govt in 19th century constitute another 4.2%. Their grievances need to be looked at rationally and pragmatically. I believe that not only 13th Amendment should be used to implement devolution of powers to Provincial Councils, the amendment itself should be further modified and strengthened to give more powers, including Land and Police powers to Provincial Councils. There is nothing wrong with a federal structure of governance with defined powers to Central Govt and State Govts. Education, Health, Police and Land powers should be with States and obviously, the Defence, Foreign affairs, Communication and others should be in the domain of Federal Govt. India is a classical example of a federal Governance, where States and Union Govt have delineation of powers and responsibilities in the State, Union and combined lists, set out in the Constitution. USA is another example of Federal Governance with well defined powers and responsibilities between Union (Federal Govt) Govt and State Govts. 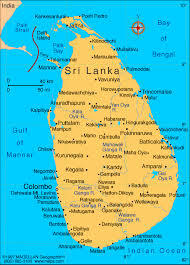 India, as a friendly nation to Sri Lanka, is encouraging Sri Lanka to do everything to devolve powers to State Councils. This was, after all, what is part of India-Sri Lanka Accord 1987. This was, again, reiterated by Indian Foreign Affairs Minister, Smt Sushma Swaraj and Indian Prime Minister, Sri Narendra Modi a few days ago, when visiting Tamil National Alliance (TNA) delegation, led by TNA MP, R. Sampanthan met them in New Delhi. I do believe, as do many others, that there is no case for the repeal of 13th Amendment, which, if executed, will cause nothing but further alienation of minorities, which will not help long term interests of Sri Lanka. In contrast, there are many advantages if Sri Lanka implements genuine devolution of powers & responsibilities to elected Provincial Councils on the lines of federal governance in India and USA.